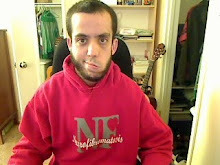 Living with Neurofibromatosis (NF), and now, fighting cancer. We (my mom and I) have arrived in Israel after a long day of travel. It was't too bad though, I've had worst, and I've traveled on this line, SFO-TLV, probably over 20 times so far. It started with a red eye flight to Newark. I took a sleeping pill, and was knocked out for about 3.5 hours out of the 5. We landed in Newark at 8am. Took a train to the Times Square area, and met up with my oldest brother. We had 8 hours to pass before our flight to Tel Aviv. It was nice. I had a Chai Latte at the 4th Starbucks we saw since the others were packed (there is pretty much a Starbucks on every corner in New York), and we chatted for about an hour, just taking it easy and relaxing. It was a nice day outside too. Not too cold. After Starbucks we went to eat lunch at Tony's DiNapoli - a nice Italian restaurant. It's a family based restaurant (bah, I keep misspelling this word) most of the menu items are for 2-3 people and are meant to be shared. Though I'm a shrimp addict, when the waitress told us about the specials, the meat lasagna sounded very intriguing. The lasagna sounded good to my brother as well, so we went for it. My mom ordered one of the shrimp pastas. 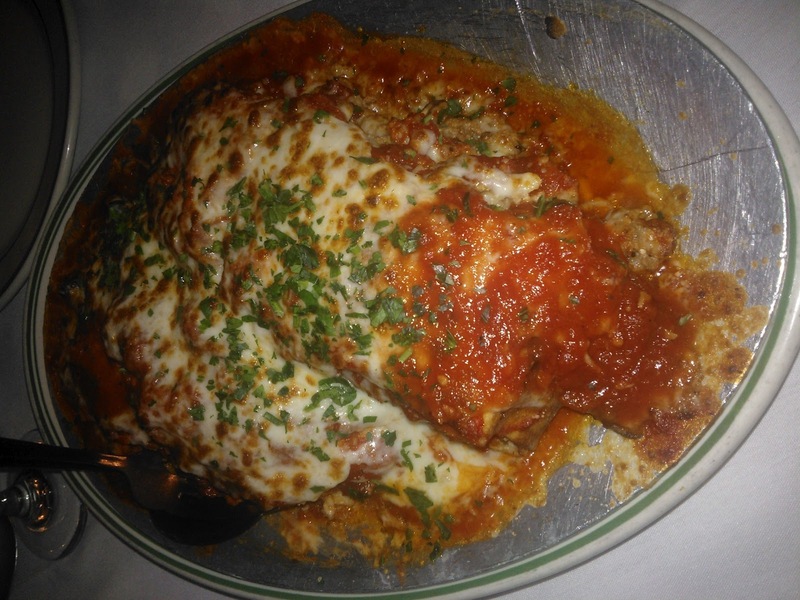 When the lasagna arrived, my jaw kind of dropped. It looked more like a 4-6 people portion meal rather than a 2-3. The lasagna tasted good, and I had no room for dessert. I took a bite from the shrimp pasta which was also very good. We also ordered drinks which were quite pricey (I was hoping it will make me sleepy for our next flight). I know, not the best angle, but mmm, mmm, mmmmmm. We took a flight on a holiday (2nd Passover). It was great. No fat sweaty Hasidik to elbow me the entire flight. And thats big for me since I'm very ticklish in my hips (stomach too). We landed in Natbag (the main airport in Israel) around 9am, and there was hardly a living soul. No lines in the immigration, and both our luggage were waiting for us already in the baggage claim. We got out to the welcome hall, there were maybe 30 people waiting for their loved ones (usually I think there are at least 300). I think other than the crazy long walk from the gate to the immigration (it's on of the longest, and I've been to lots airports all over the US and Europe) it took us less than 10 minutes to be out, and in the car. That's it from now on I'm going to purposely schedule my flight on holidays. We had one of the runners up from the Israeli American Idol on our flight. I think his name is Arel Skat. He sat a few rows behind us in coach. Nice to see he isn't fancy, sitting in first class, or maybe he just doesn't have the money. As we were walking off the plane towards the immigration I didn't see anyone bother him. I wonder, was he happy to be left alone, or somewhat disappointed? Probably the former. Perhaps he scheduled his flight on the holiday to not be bothered. My other brother was at the welcome hall waiting for us. We took a short drive to the kibbutz, he dropped us off at my mom's house, and went to bring the kids. When my brother got back my nephew, who is almost two and half years old, and I would think doesn't know or remembers me as well would run first to his grandma (he saw me last over 6 months ago when he wasn't even two years old). My mom leaned down as he came running, but he kept running pass her towards me with a big strong hug. My niece I guess was too excited to give anyone hugs, but a few minutes later she calmed down, and gave me a hug too (I guess she was more interested in the presents, she knew are arriving with us). Later I was getting tired, and took a short nap. The kids also went for their afternoon nap. They came back later for dinner. I finally went to sleep at 9pm. I woke up once I think around 1am, but was able to quickly continue sleeping. Finally woke up at 4-5am. I normally do not have jet-lag issues, and I think this time won't be any different. That's it. I'm going to be here, mostly in the kibbutz, for two weeks. I hope to get energized before returning back to the US to start my 5-6 months chemotherapy, but I have a feeling I will also get quite exhausted because these adorable yummy kids have more energy than the energizer bunny. We finished the day watching Disney's Tangled. Will you spare me some gas? All Rights Reserved. Theme images by kelvinjay. Powered by Blogger.